The LGBT community has faced a devastating setback in the country of Turkey. According to CNN, the governor of Turkey’s capital has banned all LGBT events. In a statement released on November 19th, Ankara governor Mehmet Kiliclar wrote that these events could “provoke hatred and hostility” and could pose a threat to “public security.” But two gay rights groups are justifiably calling this ban “illegal, discriminatory, and arbitrary.” Turkey is not renowned for its human rights, but this appears to be a major step backward for the nation. As USA Today reported, homosexuality has been legal in Turkey since the Republic of Turkey was formed in 1923. CNN noted that this is in contrast to many other Muslim nations where homosexuality is illegal. In July 2017, The Guardian reported that homosexuality is still illegal in 72 countries with it being punishable by death in some Muslim-majority countries like Iran and Saudi Arabia. But while homosexuality is legal in Turkey, the government appears to be finding ways to limit freedoms of the LGBT community. Even before this ban, The Guardian reported that 2017 marked the third year in a row that gay pride parades were outlawed in Turkey. Police took action against LGBT activists to break up this year’s attempt at holding a demonstration in June. "The intelligence reports that terror organizations are seeking to attack dissident groups or individuals, it is evaluated that this film screening could be provocative and draw reactions." After this announcement, the German embassy in Ankara flew a pride flag to show its support of the LGBT community. 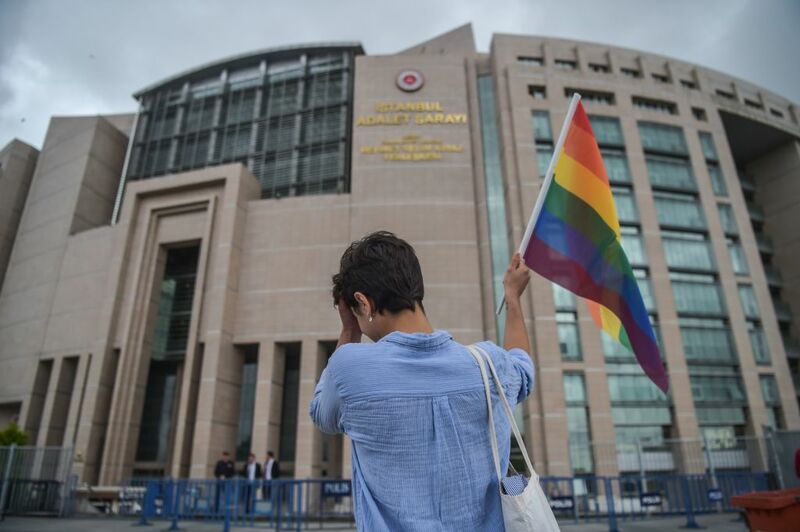 A few days later, the governor banned all LGBT events from the Turkish capital “in order to provide peace and security,” the Turkish publication Hürriyet Daily News reported. "With this decision, as well as the justifications for it that are contrary to the law, fundamental rights and freedoms such as the freedom of expression and organization were violated. With this decision, fundamental rights were violated through discriminatory motives." With Ankara’s new ruling, LGBT film festivals, forums, interviews, and exhibitions will be prohibited. Gay rights activists in Turkey will have to continue to fight for their freedoms and it’s a sad state of affairs to be occuring in 2017.